John W. Cox son of Catherine Bradford and William Presley Cox was born at New Salem in 1889. He attended pharmacy school in Atlanta, Ga. Upon graduating he moved to Birmingham and was owner operator of a drug store. He married a lady from Atlanta, Ga. John died in 1919 and is buried in Elmwood Cemetery in Birmingham, Ala. His cause of death was ruptured appendix. W. O. 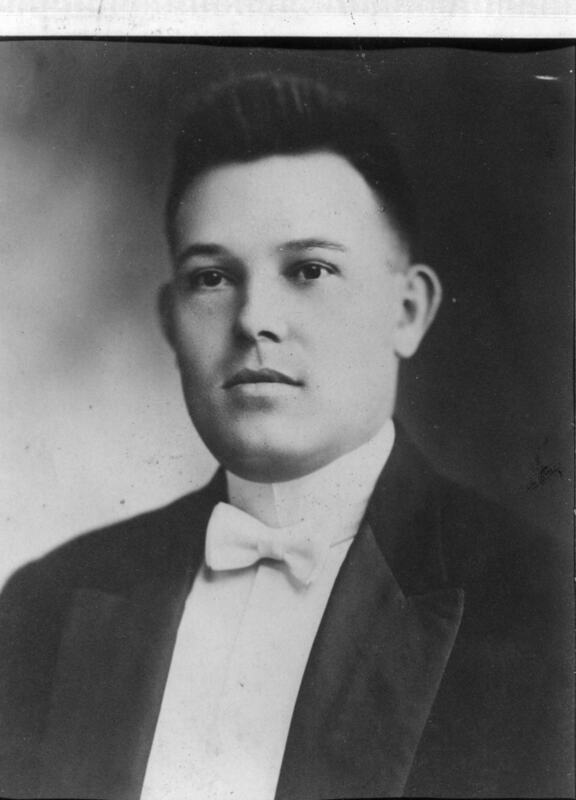 (Bud) Cox was the son of Sarah Catherine and William Presley Cox. He was born at New Salem in 1891. Bud attended pharmacy school in Atlanta, Ga. Upon graduating he returned to Birmingham, Ala. and bought a drug store. He married Clara Mudd from Birmingham, Ala. and operated the drug store. He suddenly disappeared and was not heard from for years. Clara kept in touch with his family but finally remarried and moved to Florida. About 1960 his brother Harold and nephew Harold (Prag) found out that he was in Baton Rouge, La. They visited him. He was married to Pearl ____ Cox. She was a school teacher. It was the consensus of his sisters and brother that his disappearance was due to the mishandling of his fathers estate. His mother Sarah Catherine renounced her right to serve as administratrix and requested the court to appoint her son W. O. Cox as administrator. This document was dated 16 August 1922. There were no signatures of any family member. Their names were typewritten on the “form” document. Bud died in 1963 and is buried in Baton Rouge, La.